Day 4 had 6 races scheduled by RO Robbie Dean. He decided to do 3 back to back and then another 3 back to back after a 45min break. From sunrise the wind was blowing from ESE. Robbie decided at the Skippers meeting to wait until the wind moved a bit more to the ENE seabreeze direction which happened about midday, with racing good to commence for a 12.30pm start. The course was laid out further to the northern part of the strand a little to the right of our live stream headquarters, the Aquarius, where Jalen and his team from Brillitec have been doing an amazing job broadcasting every single race live from Townsville. The wind filled in quickly and was soon blowing between 14-20knts increasing in the afternoon. 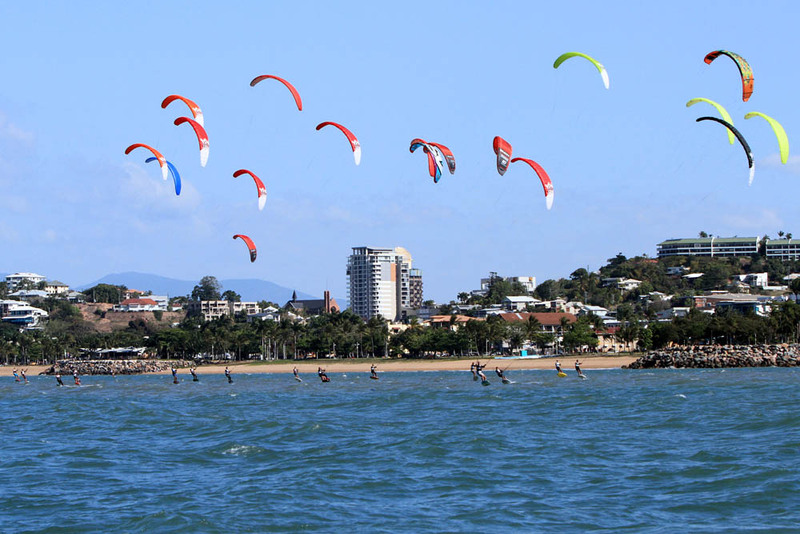 Most people were on 12-15m kites for the first 3 races and on 9-12m kites after the break. The racing was fierce and fast with the top guys battling it out all day. Nico Parlier scored 4 bullets, and Maxime Norcher and Johnny Heineken one each. The following pack saw some tight battles with Julien Kernuer, Damo Leroy, Benjamin Petit, Theo De Ramecourt and Benni Boelli fighting for positions. Tactics and strategy were important on day 4, choosing lots of different lines and ways to get around the course. Great gains and losses were possible depending on how the riders chose to sail. 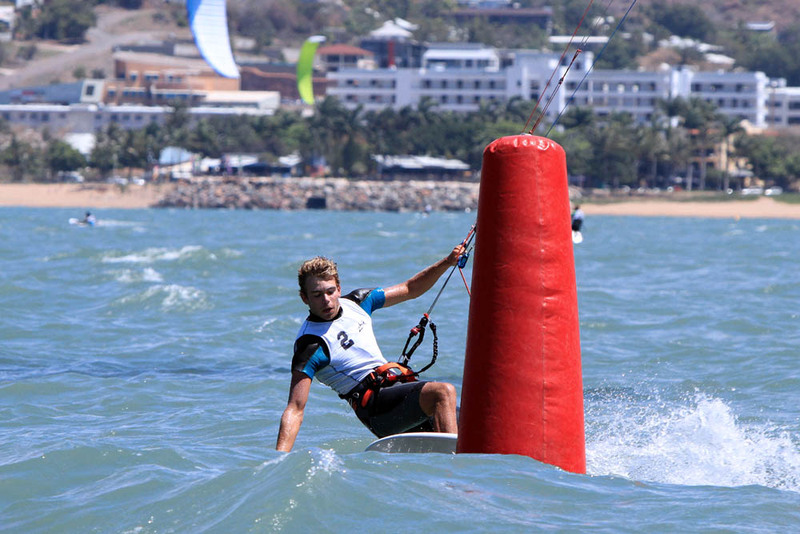 There were a few kite tangles and penalties which resulted in 2 tangles and fouling at the top mark forcing Maxime Norcher to do a 360 turn after the incident. At the top mark it was blowing over 20knts at times and many foilers exploded or were getting pulled downwind being overpowered on their foil kites. 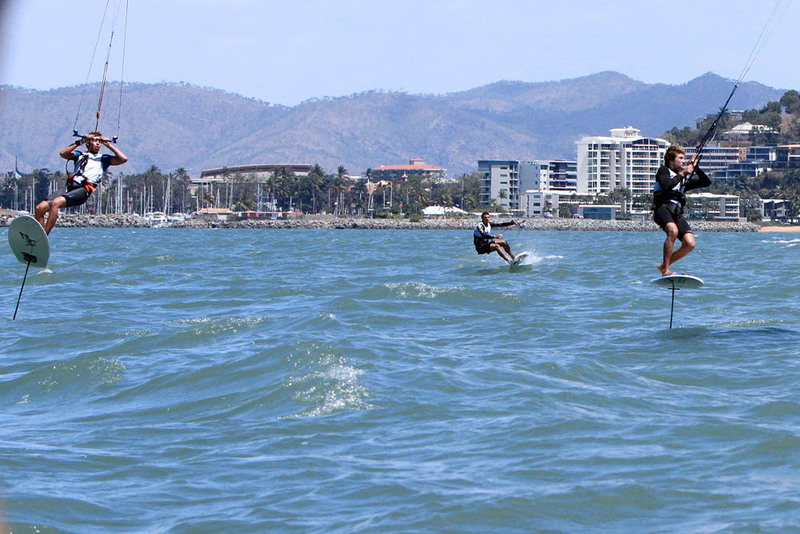 The racers and spectators were stoked on the conditions and about the great racing all day long in beautiful North Queensland weather.